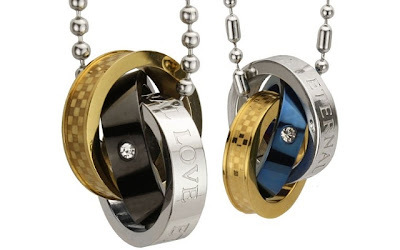 This Eternal Love Stainless Steel Interlocking Triple Rings Pendant Necklace Couples Set 18"/20-24" is currently selling for just $44.95 on Amazon.com! You will be saving 64% off the listed price of $124.95 with this jewelry deal. This couples necklace set comes with a women's necklace and a men's necklace (your choice of 20", 22", or 24").